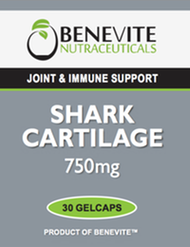 BENEVITE NUTRACEUTICALS™ Shark Cartilage has been reported to have analgesic and anti-inflammatory activities, which may assist in reducing pain and inflammation of the joints. The Shark Cartilage helps to maintain healthy joint and immune function. BENEVITE NUTRACEUTICALS™ Shark Cartilage may assist in the maintenance of general wellbeing. Adults, take 1-2 gelcaps daily, with meals, or as directed by your healthcare professional. If symptoms persist consult your healthcare practitioner. Children, pregnant or breastfeeding women, and those who have recently had a heart attack - surgery or a major accident should not consume this product without medical advice. 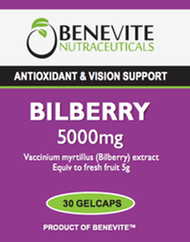 By combining the finest ingredients nature and science offer, each carefully prepared BENEVITE NUTRACEUTICALS™ formula delivers to its consumers premium quality formulations in the best interests of health and wellbeing.